Those are lyrics from hip-hop artist Belly’s latest album, “Immigrant,” a personal and reflective ode to immigrants around the world. According to the United Nations 2017 Migration Report, the level of forced displacement continues to rise, and as millions of asylum seekers and refugees seek new homes, many find themselves in unwelcome territory. Caught up in polarizing immigration debates and anti-immigrant rhetoric espoused by some of the most powerful leaders around the world, Belly said that many immigrants face “bigotry” as they seek refuge in new places. “These are human lives, these are people with dreams, aspirations and kids and families. We want to just play the numbers games and act like it’s just that,” he said. “Immigrant,” which was released last week by Roc Nation and XO Records, is the Palestinian-Canadian rapper’s sophomore album and includes a star-studded list of collaborations, including The Weeknd, Meek Mill, M.I.A., French Montana, Yo Gotti and NAV. The rapper said that working with fellow immigrants like French Montana on this project was a powerful experience. “I’m blessed to be around some of the same guys that I came into this business with and learning of off each other and watching each other’s experiences as young immigrants and trying to thrive in this world,” he said. 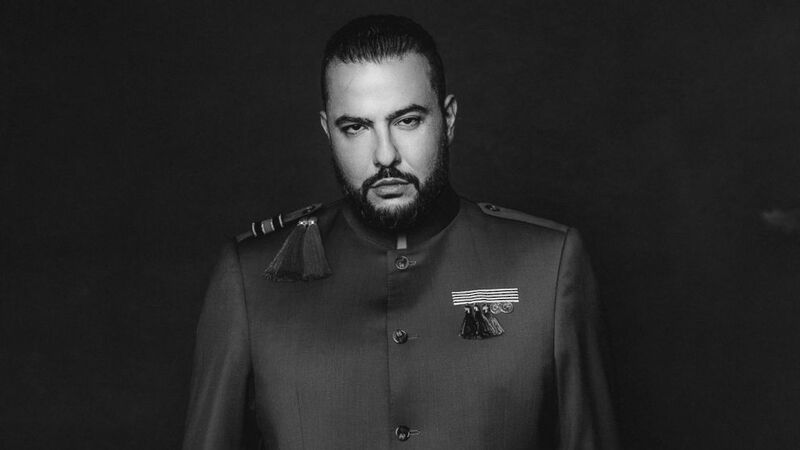 Belly, whose full name is Ahmad Balshe, was born in the West Bank city of Jenin and immigrated to Jordan and then Canada at a young age with his family. He said that this project is his most personal one yet. The cover photo is from Belly’s personal collection and is a picture of him as a kid reciting a poem to his mother. And by “exposing” some of his own diary, Belly said he hoped to send an empowering message to a population that has been vilified. Cover art of “Immigrant,” an album by recording artist Belly, released by Roc Nation and XO Records. “That picture means a lot to me because I was reciting a poem for my mom and she took the picture, so it’s a picture made out of pure love in a place that people think has nothing but hate,” he said. The album includes the title track “Immigrant,” featuring Meek Mill and M.I.A., which calls out the Trump administration’s immigration politics. The project comes as a heated debate over immigration rages on in the United States ahead of next month’s midterm elections. “I’m not going to shy away from an issue like this, especially when it resonates with me so closely … just seeing how empowering that was, not only for my fans but people that became fans,” Belly said. Protestors wear Belly “Immigrant” T-shirts during an “End Family Separation Rally & March” in New York City.